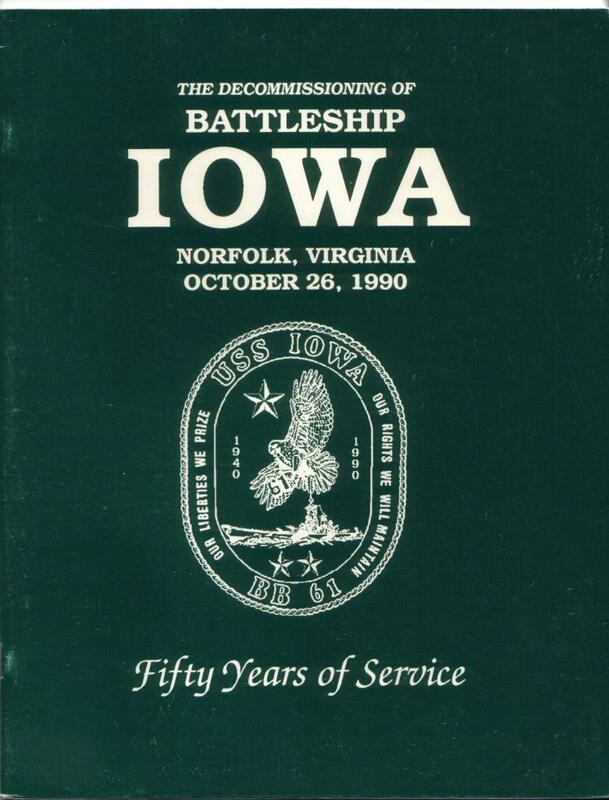 Following The Cold War, USS IOWA returned to the naval base at Norfolk and received a Turret Two Memorial plaque. 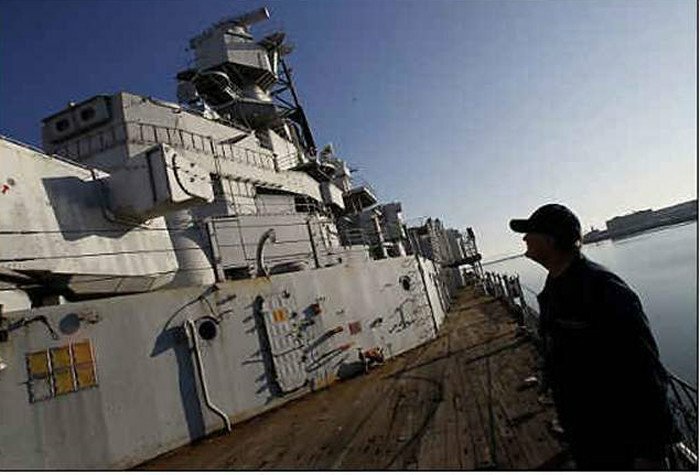 She was decommissioned on October 26, 1994. Turret Two memorial plaque unveiled. Turret Two Memorial Service. 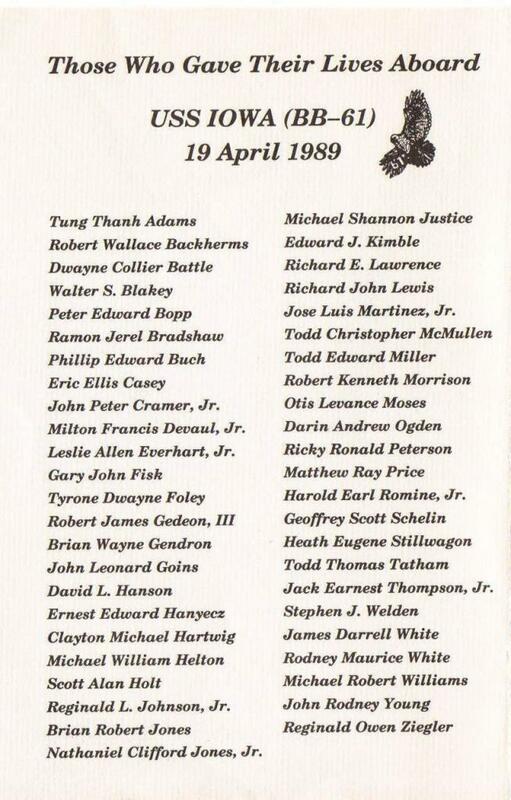 Memorial plaque dedicated. 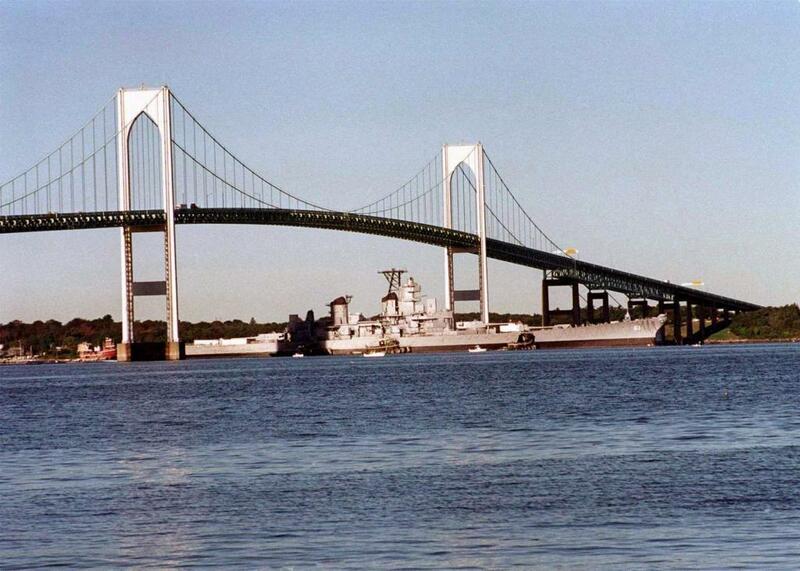 Towed to the Naval Education and Training Center in Newport, Rhode Island. Towed from Rhode Island to begin her journey through the Panama Canal to California. 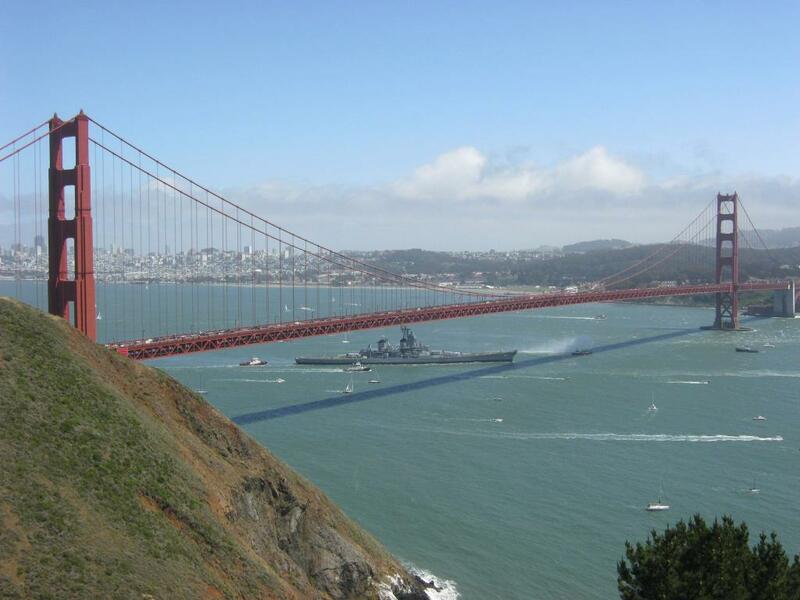 Arrived in Suisun Bay near San Francisco on 21 April 2001 and joined the reserve fleet there, where she remained in reserve until struck again in 2005. Vallejo submits final application and is the only group remaining after Stockton and San Francisco groups withdraw. 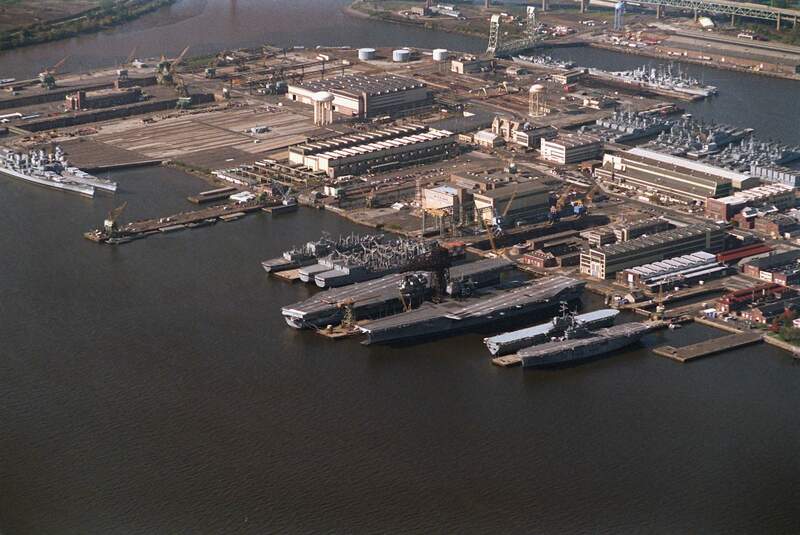 Navy issues letter to Vallejo group they need to show firm financing and has addressed EPA and dredging concerns. Port of Los Angeles Harbor Commissioners unanimous vote for Berth 87 as IOWA’s new permanent home. The Pacific Battleship Center submits initial application by the November 24th deadline. Federal Register readvertises for donation applications citing Vallejo’s lack of progress. The Pacific Battleship Center in Los Angeles is the only group to submit a letter of intent. However, Vallejo remains in the competition. Pacific Battleship Center submits the Final Application for the IOWA. USS IOWA awarded to the Pacific Battleship Center by the Secretary of the Navy. 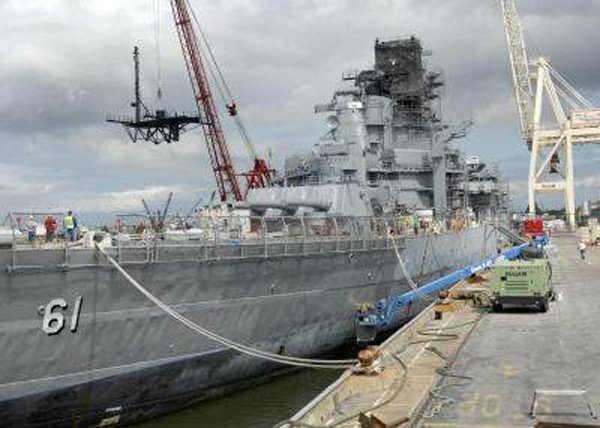 USS IOWA begins its tow to Richmond, CA for exterior refurbishment. 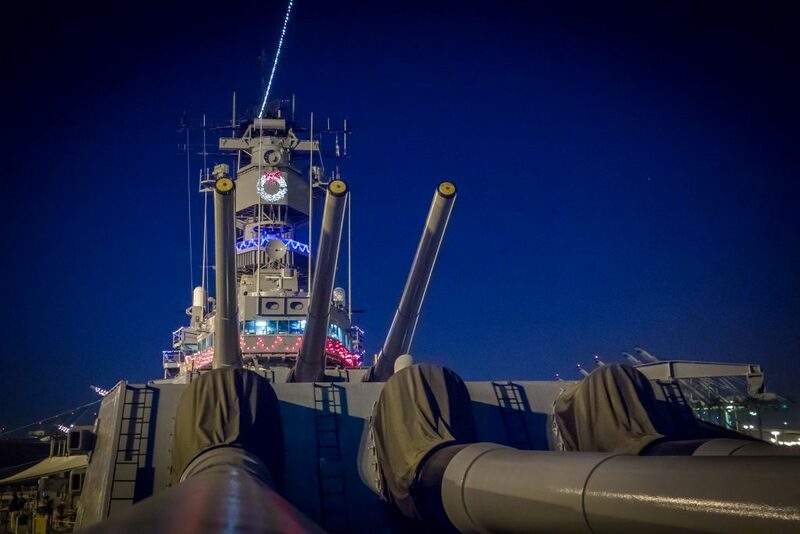 USS IOWA hosts the National Park Service for Pearl Harbor remembrance. 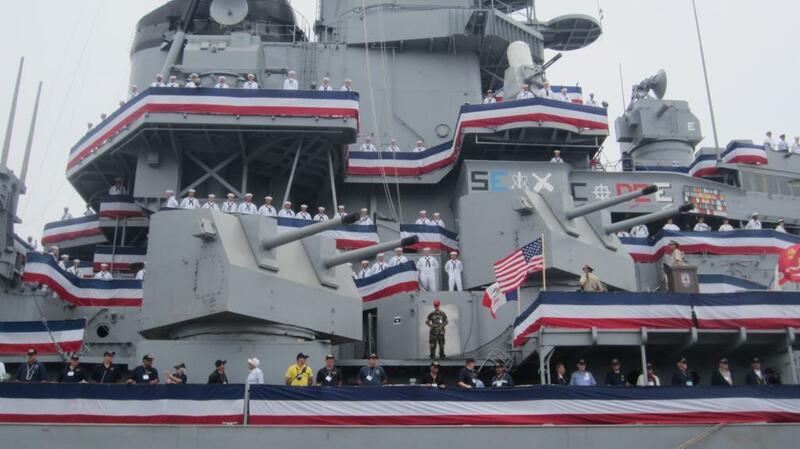 USS IOWA is open to the public for the first time in many years. 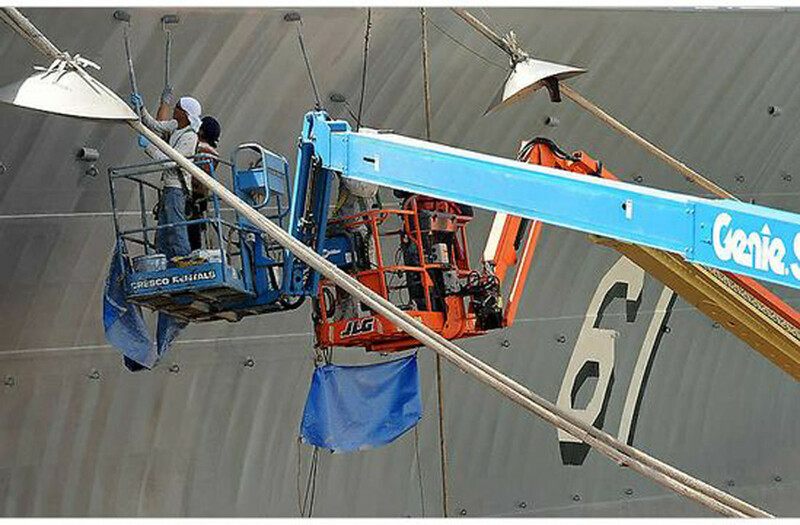 Bay, Ship and Yacht painting company is contracted to begin work on repainting Iowa. Work will continue through the day before Iowa is towed to Los Angeles. Over 3,000 gallons of paint will be used, covering about 210,000 square feet of surface area. First ceremonies for Turret 2 since ship was decommissioned. Iowa’s upper mast radar platform is re-stepped. A re-stepping the mast ceremony was held with officials from the state of Iowa. Total weight lifted was 37,000 lbs. Platform is 50 ft. tall, 40 ft. long and over 50 ft. wide. Final height of the ship from the waterline to the top of the mast is 174 ft. The barge crane’s reach is barely tall enough at 194 feet. The Big Band of Rossmoor with the Blue Stars conduct a farewell musical tribute to Iowa. The battleship Iowa was officially donated to the Pacific Battleship Center in Los Angeles by the United States Navy. U.S. Navy Vice Admiral W. Mark Skinner and Pacific Battleship Center President Robert Kent sign final documents transferring ownership from Navy to PBC. A Vietnam era UH-IH Huey helicopter landed on Iowa’s refurbished aft flight deck. The landing took place on the last day the ship was open to the public before being towed to her permanent home in San Pedro, CA. This was the first helicopter landing on the ship since 1989. The helicopter is called the 309 and is owned / operated by EMU, Inc. 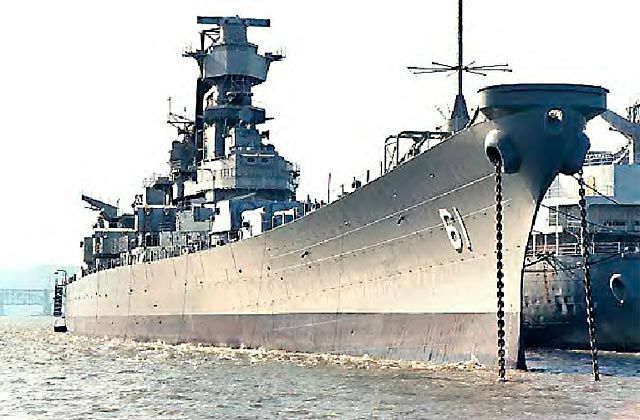 Port of Los Angeles Harbor Commissioners voted unanimously to create a new home for the historic battleship. SS Jeremiah O’Brien holds a farewell cruise in San Francisco harbor, anticipating Iowa’s departure to San Pedro. However, bad weather prevents her departure. (O’Brien cruises by Iowa). 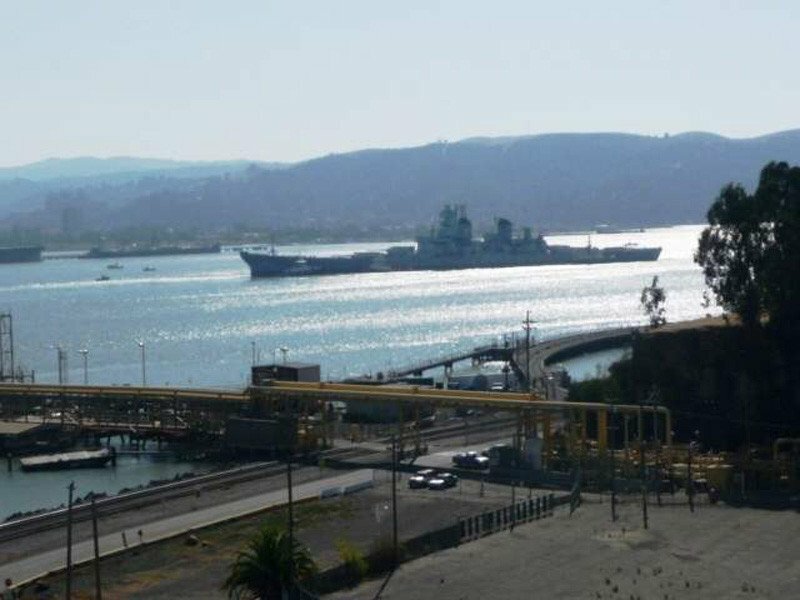 The Los Angeles City Council voted unanimously to approve the permit between PBC and the Port of LA for battleship Iowa’s berth and lease arrangement. 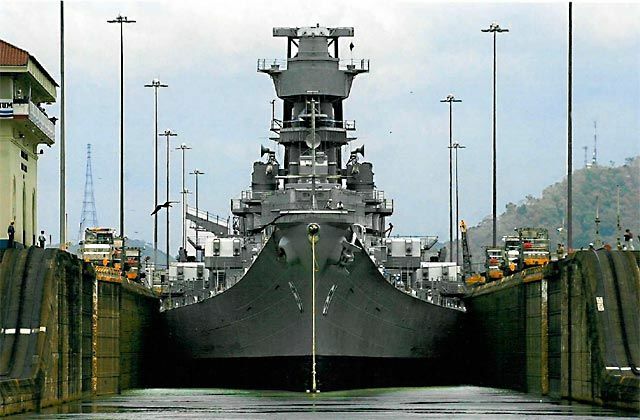 The Battleship Iowa began her journey to the Port of Los Angeles under tow by an ocean going tug; Crowley Warrior. Leaves Port of Richmond under tow – 4 tugs, crosses San Francisco Bay and passes under the Golden Gate Bridge, heading for Los Angeles. Anchored off the Southern California coast close to Long Beach on May 30th to have her hull scrubbed to remove any invasive species or contaminants. She was towed to a temporary berth in San Pedro / Port of Los Angeles, Berth 51, 52, 53 across from the Victory ship SS Lane Victory. (Completing her last voyage on open water). Iowa’s final journey down the main Los Angeles channel to its permanent home at Port of Los Angeles, Berth 87, in San Pedro, CA, directly south of the World Cruise Center. Over 1,000 guests are on board as she is towed down channel. The private invitation Grand Opening was held on July 4th. The Independence Day Celebration featured Los Angeles Mayor Antonio Villaraigosa, Iowa Gov. Terry Branstad, and U.S. Sen. Tom Harkin of Iowa. Celebration (by invitation only) for Plankowners (initial supporters) who made donations to the nonprofit Pacific Battleship Center by May 20, 2012, Iowa holds an open house. Iowa opened for tours as a floating museum to the general public at her new permanent home at Berth 87, San Pedro, Port of Los Angeles. A private open house on Iowa is held for the visiting Iowa Veterans Association members and their families. During the first week in July, the Iowa Veterans Association held their annual reunion in San Pedro at the Doubletree Hotel. August 14-18 : Navy Days LA featured destroyer USS Wayne E. Meyer DDG 108 tied astern of Iowa. Special tours were given to their officers. USMC Major General Spiese from Camp Pendleton and Iowa’s staff repaint the USMC emblem back on 5inch gun mount number 55. Space Shuttle Endeavor atop her Nasa 747 flies directly above Iowa, on her way to LAX and her future permanent home in the Los Angeles Science Center. 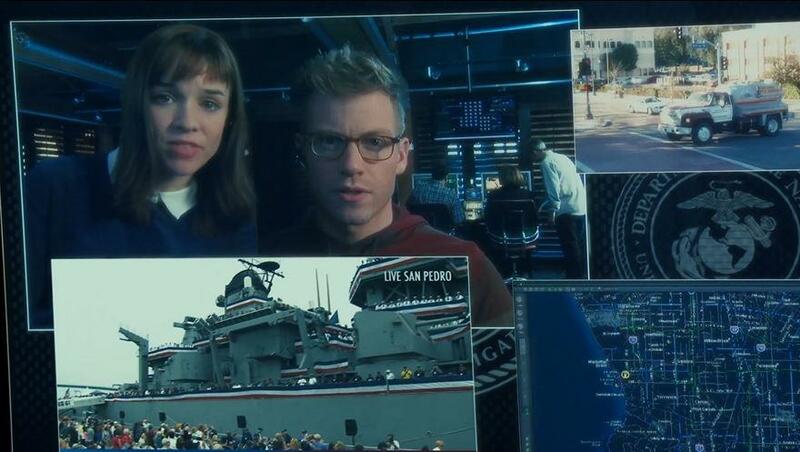 CBS Studios was on board filming the TV series NCIS – Los Angeles. 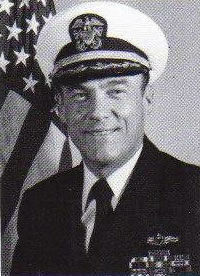 One of Iowa’s veterans is filmed as an extra (“Mac” McEnteggart). Episode to air December 18th. Jonathan Frakes of Star Trek fame was the producer. An estimated 100,000 have now toured Iowa since opening in Los Angeles. In conjunction with the Port of LA and Mayor’s office; Veterans Day was celebrated with a Veteran’s admission to Iowa’s tour being free. Over 5,000 visit over the weekend. With donations from the public, both money and Christmas lights, Iowa is decorated with many Christmas lights once again. 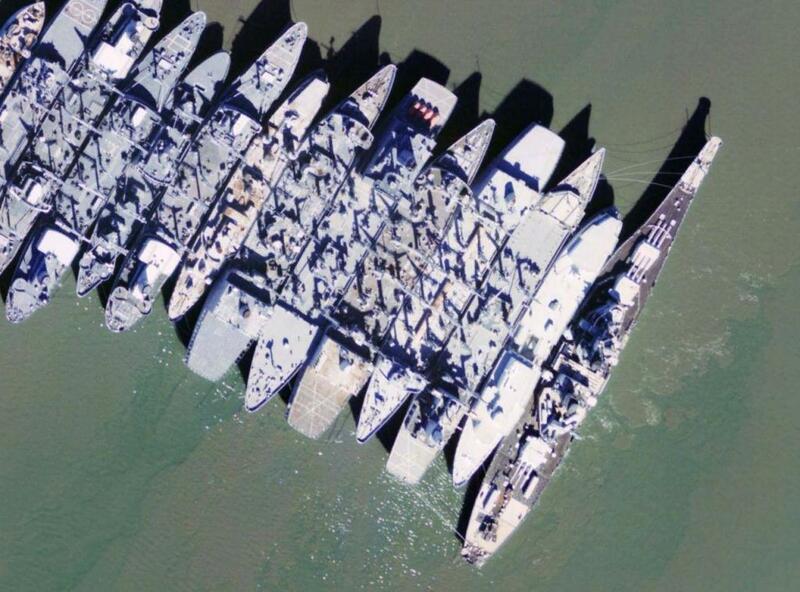 She was a “Christmas lights” prize winner in her Cold War service years for many years at Norfolk’s Naval Base.